Is Your Internet a Little too Slow? Call Internet Magic Gold Coast Today! Do you live at the Gold Coast and yet you are still finding that your internet is painfully slow? This can be really inconvenient and frustrating, especially when you expect that you should be getting perfect internet, living in a suburban place such as the Gold Coast. 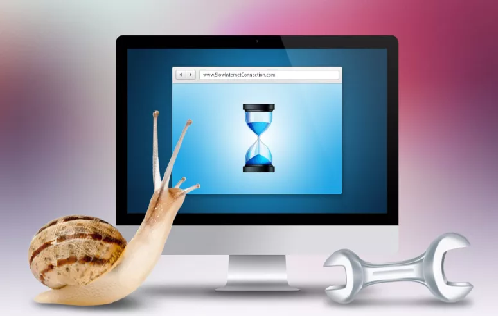 It may not be very handy for you to be constantly held bakc by your internet speed, but at Internet Magic, we have a very handy service that will make your internet problems dissapear. I'm your local Internet Magic Technician Doug and I specialise in getting your internet speed up to where it should be, so you can get on with your online tasks without the hassle. For the typical Gold Coast resident, our lives are busy enough as it is without having to worry about additional problems such as slow internet connections. Having a slow internet connection can be the difference between productivity at work or home, and getting behind in your work and having consequences. For instance, if you are a highschool student with an assignment due in two days, and you can't do any research at all because your internet is slow, then you are going to lose marks which will affect your grades. If you're working on an important work project that is due the following day, and you web pages won't load, again, you are going to have soem realy Consequences. Because we tend to rely on the internet so heavily as a society, when it's not working, you need a fast solution and a solution that will last. And the most reliable and quality service on the Gold Coast in Internet Magic. So give us a call today!